(MENAFN - Asia Times) Huawei is on track to outstrip Samsung to become the world's biggest-selling smartphone brand by the end of this year. The Chinese tech behemoth said last week that it would tap into its bourgeoning consumer business to sustain growth. Huawei's snappy smartphones and laptops, which offer distinct value for money, have poached discerning buyers from Apple and Samsung, helping the Chinese company remain confident despite the US-led blanket ban on its business-to-business telecommunications gear, which has seen revenues from wireless and base station equipment go flat. Huawei, which already generates two-thirds of revenues from smartphones, aims to see consumer electronics sales soar to US$100 billion within three years and to US$150 billion by 2025, Yu Chengdong, from the Consumer Business Group of the Shenzhen-based firm, told reporters at a product launch event in Shanghai last week. He added that those lofty goals and estimated sales are actually on the conservative side even though Huawei smartphones and other products were not available in the US due to "nonmarket factors". 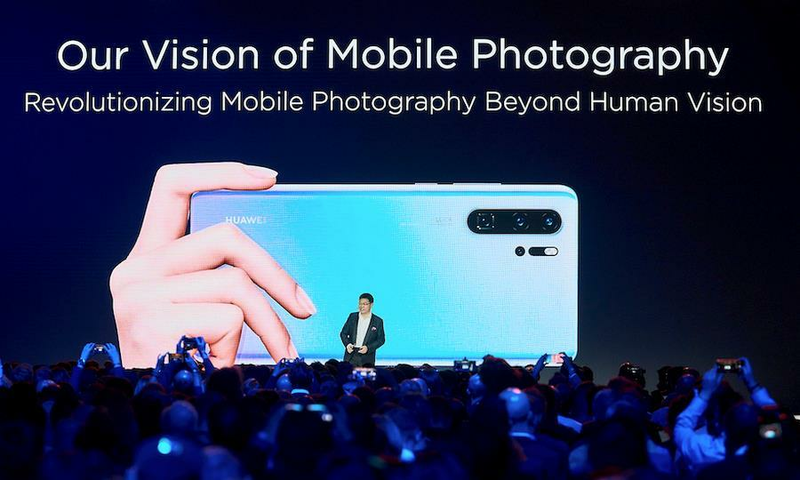 For instance, the P30 Pro, Huawei's new super-spec phone unveiled last week, has drawn praise from tech nerds and even Apple fans, with its quad-camera system and periscope telephoto lens co-developed with Leica that can zoom in up to an eye-popping 50 times and shoot crisp images even in near darkness, on the strength of its extreme ISO settings and a new sensor that significantly boosts light absorption. In February, Huawei also announced a foldable, 5G-ready phone-tablet hybrid model at this year's World Mobile Congress in Barcelona.